The Capri Theatre, Adelaide has been operating since 1941. The Capri Theatre was opened in 1941 as the New Goodwood Star Theatre. It was built by RJ Nurse and designed by architect Mr Chris Smith (Architect). The Theatre’s architectural style is art deco/modern. This style is highlighted by the curvaceous lines, circles and semi-circles, a feature of the Capri and of the 1940’s architectural era. The Capri originally had a seating capacity of 1,472. The Capri Theatre opened its doors for its first night of trade in October 1941, to a double feature from MGM of ‘Florian’ which starred Robert Young and Helen Gilbert, as well as ‘Dr. Kildare Goes Home’, starring Lew Ayres and Lionel Barrymore. 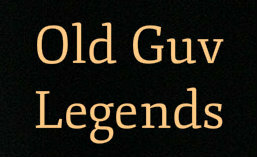 In 1967 Greater Union undertook some capital works on the Theatre, and reduced the seating capacity to 851. 1978 was the year that TOSA, (Theatre Organ Society of Australia SA Division) purchased the Theatre and in December re-named it ‘Capri Theatre’. The inaugural Capri ‘Wurlitzer’ concert was held on 2nd April 1983. In 1986, Crocodile Dundee played at the Capri Theatre and was hugely successful, playing for almost one full calendar year and helping TOSA (SA Division) complete their loan and thus own the Theatre outright. 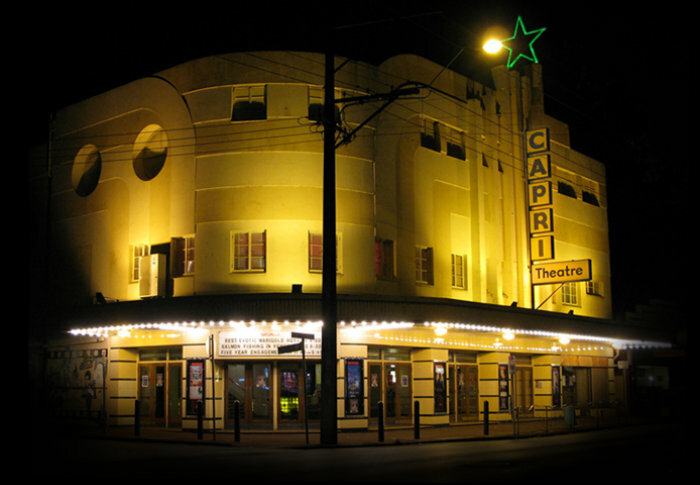 The Capri Theatre was added to the South Australia register of state heritage items in 1990. In 2012, the Capri Theatre upgraded its film technology by purchasing a brand new digital film projector. via History – Capri Theatre.